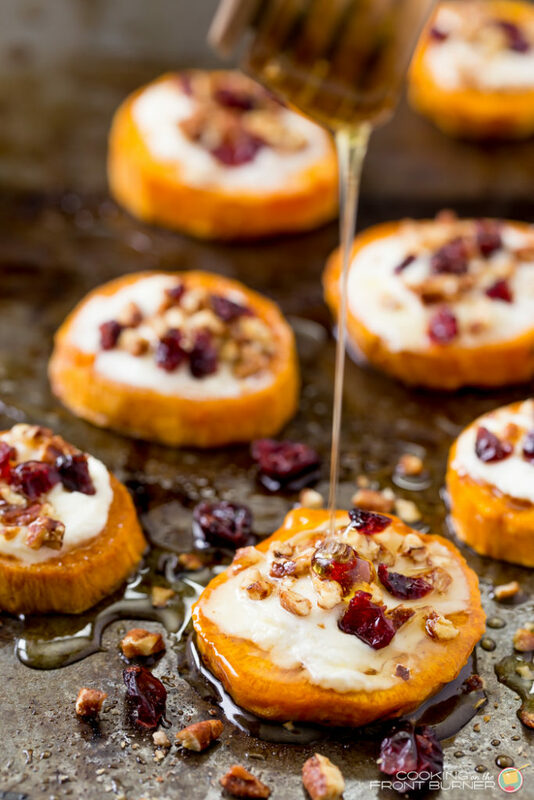 Sweet potato rounds with goat cheese are the perfect easy holiday party appetizer! This sweet potato goat cheese appetizer is beautiful and easy to make! Kidding aside, I like them anyway they can be prepared. Love the sweet flavor and if I can resist over dousing them in butter and brown sugar, they are pretty healthy too. Today I’m sharing how to prepare them as a tasty appetizer. 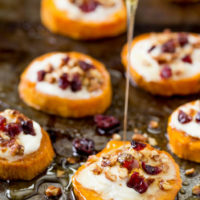 The rounds are roasted, spread with a creamy goat cheese filling, topped with pecans and craisins and then drizzled with some honey. Did you also know that you can serve sweet potatoes for breakfast? Our family likes this Sweet Potato Hash recipe that is cooked up with shallots and peppers all made in one skillet. Just add eggs and you have a complete meal. For the meal lovers, I’ve also created a version using sausage (the DIY Guy loves this one). No meal is complete for him unless it has meat – your guys the same too? So what is on your holiday plan? Do you like to graze the whole day? Start with some appetizers and tasty beverages? Make a big meal with all the trimmings and dessert? On Thanksgiving we usually have our meal around 1 p.m. We’ll start our feast with some sort of pumpkin or squash soup, then move onto the bird with lots of side dishes. Since we are usually full from the meal, dessert is more like mid-day and then we start with leftovers in the evening. I’m looking forward to getting together with the family and enjoying the day! This year, I think we need some appetizers and this sweet potato goat cheese appetizer will be perfect! 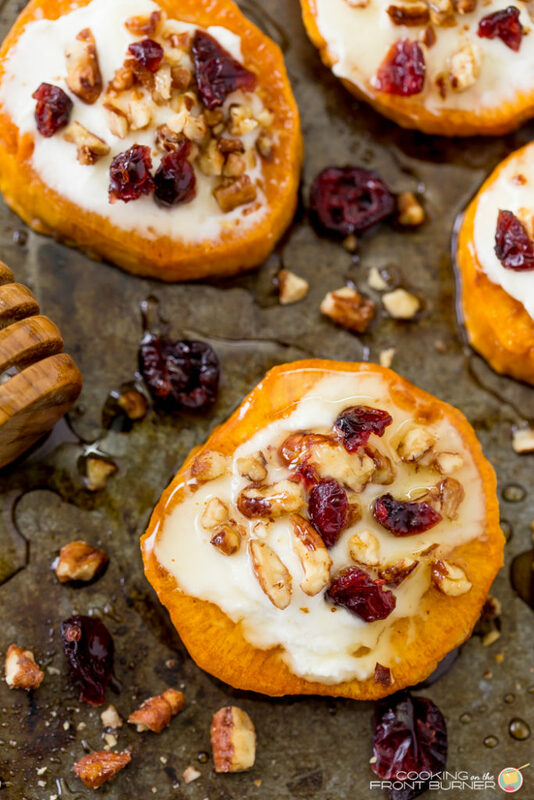 You are going to love these Sweet Potato Rounds with Goat Cheese appetizer! They are perfect for all your holiday gatherings. The honey dripping on the goat cheese is just mouthwatering! Heading over for the recipe! 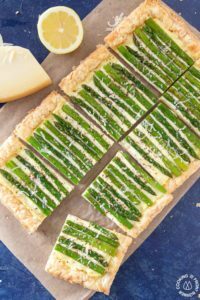 This looks so good and I'm always looking for recipes using goat cheese for my lactose intolerant husband! Sweet Potatoes always made me hesitant but I have a new love for them! These are amazing! I'm just sitting here drooling! Deb, these look AMAZING! I want to eat all of them right now! I'm still working on our Thanksgiving menu – but I need to add these to the menu!! I LOVE sweet potatoes and these look off the charts good! These are absolute PERFECTION, Deb!!! Thanks for sharing these at Funtastic Friday 102! They look divine! I selected this post to be featured as one of my "favorites" for Funtastic Friday 103 Blog Hop, which is live now! I'm sorry… I'm very new to Pinterest, and I can not figure out how to actually get to this recipe! Anything I click on just takes me to an enlarged picture (or two), but nowhere am I seeing a way to get to the actual recipe. HELP!!!!! 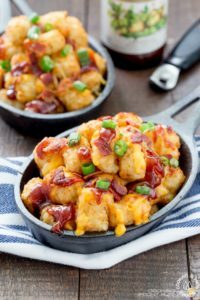 Just wanted to let you know, I downloaded this recipe, and made it today (Super Bowl). Awesome recipe thank you. I made these for Super Bowl Sunday!! They were absolutely delicious! I just made these (or a variation) and they are unbelievably delicious–I didn’t have pecans or cranberries so I just made them and used Trader Joe’s goat cheese with honey. They are fabulous-thank you for sharing! That is a great idea using the goat cheese with honey – I am going to Trader Joe’s today and will have to find that!! 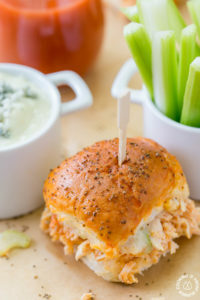 I have been quite obsessed with the combination of goat cheese and sweet potato lately, and I stumbled on this post of yours on Pinterest. Pinterest clearly knows what I like. Thanks for the inspiration, this is going up my list of foods to try soon! These look delicious. We have a Christmas party every year with lots of appetizers etc. I was wondering if I could make these up ahead of time and serve at room temperature. I am hosting a starter’s and ender’s party for my son and new daughter in law when they return from their honeymoon for 70 people . Can the sweet potatoes be baked ahead and watered before adding the goat cheese and honey? I don’t want to miss all the party! I am a big fan of make ahead, serve later! These look delicious. Would you share with me your make ahead advice? Love this idea! 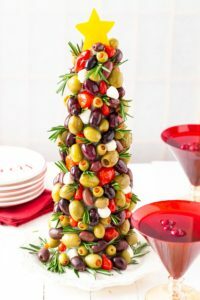 I am attending a Friendsgiving could you share your make ahead advice as well? Ideally I’d like to have these done the day before ready to go the next morning. Do the keep out at room temp well?